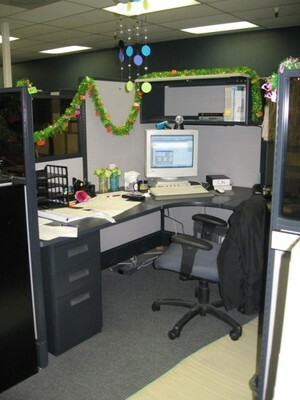 8/21 First day of work at MI, West Sac… surprise, surprise! Quite a warm-welcome feeling, eh? Man, I feel like it’s the best first day of work! Let the photos tell the story! 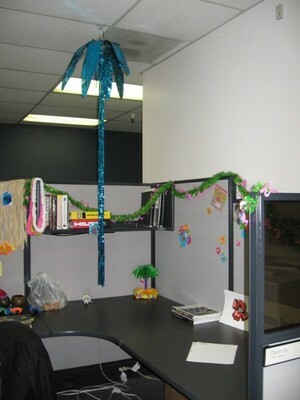 Surprise “Hawaiian” decorations from my mentor, Emily (calc. sheets and work load are not included, hehe)… Thanks, Em! Heading out for Vanessa’s home-made dinner, gotta go! Ai… still can’t type Chinese because my XP is still not working (deep coma), wish I can fix this soon! HELP, Tin Tin! 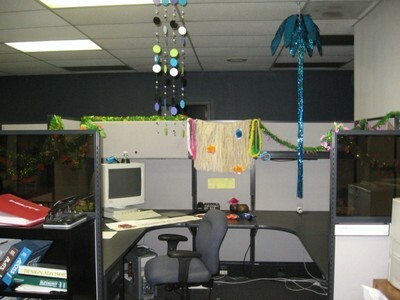 umm, I would say, cubical w/ big decorations… Anyway, a new start lor!